Home / Send Your Loved Ones a Free Personal Letter from Santa Claus Direct from the North Pole! Send Your Loved Ones a Free Personal Letter from Santa Claus Direct from the North Pole! 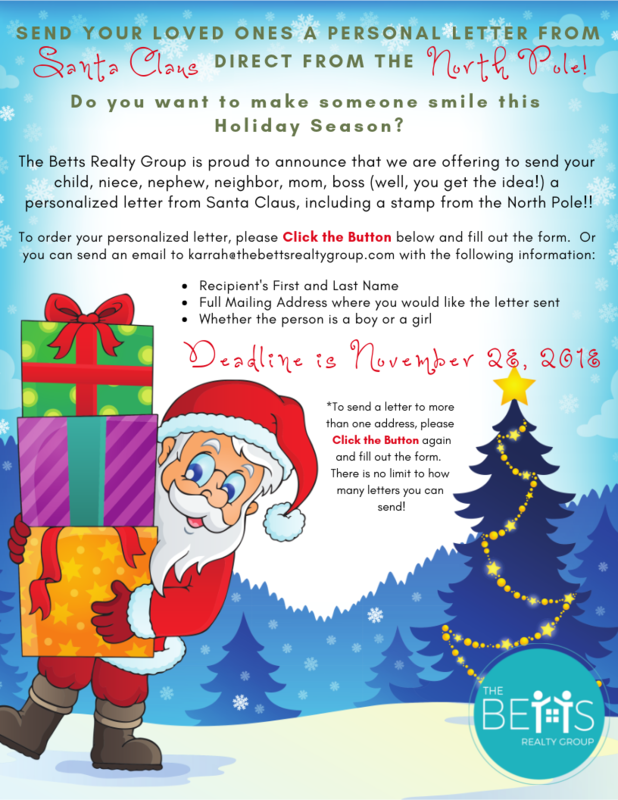 The Betts Realty Group is proud to announce that we are offering to send your child, niece, nephew, neighbor, mom, boss (well, you get the idea!) a personalized letter from Santa Claus, including a stamp from the North Pole!! Please fill out form below to order your personalized letter!